Deputy Chief of Staff Yair Golan, speaking at a conference today (Monday) shared some projections of what a future conflict in Lebanon would bring to the home front in Israel’s heartland. 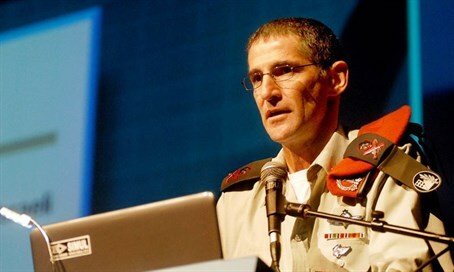 Golan was speaking at a conference organized by the National Emergency Management Agency (NEMA), marking the 10-year anniversary of the 2nd Lebanon war. 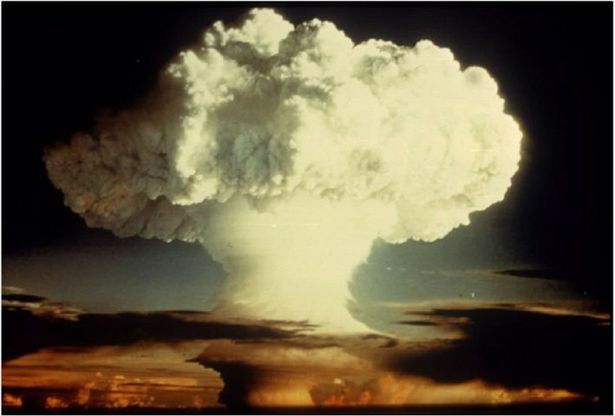 NEMA was created in the wake of the aforementioned war to better coordinate military and civilian action during states of war or national disaster. Attendees at the conference include Amir Peretz, who was Defense Minister during the 2nd Lebanon war, the head of NEMA, the head of the Home Front Command, and other Defence and Emergency Response officials. China’s role in international affairs continues to grow. From the world’s second-largest economy to its military muscle flexing in the Pacific, Beijing’s influence on the world stage cannot be understated. 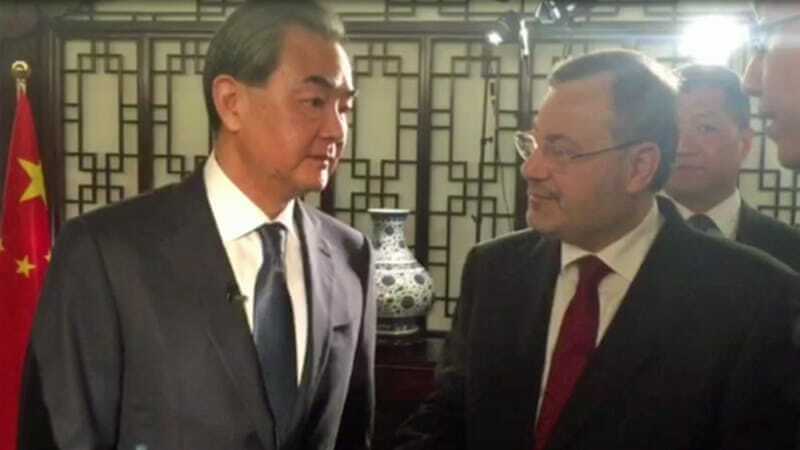 Foreign Minister Wang Yi recently sat down for a 40-minute one-on-one interview with Al Jazeera in Beijing to discuss its relationship with the world. Al Jazeera: After attending the US-Philippines joint military drill in mid-April, US Defense Secretary Ashton Carter accused China of militarising the South China Sea and said countries in the Asia Pacific were concerned about China’s land reclamation. Is this a military provocation by the US and Southeast Asian countries against China? Wang Yi: Your question makes sense. The South China Sea is originally peaceful and stable. As for the disputes left over from history over some specific islands and reefs, China is committed to seeking proper, peaceful settlement through dialogue and consultation even though its own rights and interests had been infringed upon. This process is still under way. Construction on the islands and reefs is something normal; many littoral states of the South China Sea started it many years ago, including their so-called construction on the Chinese islands and reefs they illegally occupied. China began some necessary construction only very recently. For one thing, China’s construction is meant to improve the living and working conditions of the personnel on the islands and reefs. Harsh natural conditions – the wind and rains – have made such improvements absolutely necessary. At the same time, China, as the largest littoral state of the South China Sea, is willing to provide more public goods by building necessary facilities, which can benefit everyone. For example, we have built light houses which, once in operation, will benefit all vessels that pass by. People think this is a good thing. The ports we built for emergency relief, including medical facilities and meteorological stations, will also serve the public good. What we did does not breach any international law or affect the freedom of navigation. As for the so-called militarisation you just mentioned, it is common sense that all countries enjoy the right to self-preservation and self-defence under international law. It is therefore perfectly normal that China has some self-defence facilities on its stationed islands and reefs. Other countries have long maintained a large number of military facilities on the islands and reefs around us. We need necessary means and capabilities to defend ourselves, but this has nothing to do with militarisation. If one talks about militarisation, we have seen aircraft carriers coming to the South China Sea, strategic bombers flying over the South China Sea waters, and guided-missile destroyers coming close to China’s islands and reefs, all to exert military pressure on China. I am afraid this is what militarisation really looks like, including large-scale military drills and the construction of military bases of all sorts in the Philippines. Be it island construction or militarisation, there should be no double standard. It is not fair for one to criticise others on the one hand while doing whatever he likes on the other. I think more and more countries have realised this, and people without prejudice will see clearly the current situation and the root of the problem. Al Jazeera: I mentioned the United States and Carter’s criticism of China. Yet you didn’t name the US in your answer. Did you do it deliberately to avoid provoking the United States? Wang Yi: We will articulate our position very clearly when it’s necessary to do so. You asked about the United States several times and I gave a clear answer already. Who is engaging in massive military exercises in this region? Who is sending a lot of advanced weaponry to the South China Sea and building new military bases? The answer is all too clear: the United States. Al Jazeera: North Korea has unsettled the world with its military policy. As its neighbour and probably the country with the closest relations with the Democratic People’s Republic of Korea, how does China view the situation? Wang Yi: You raised a very important question about the Korean nuclear issue. This issue has attracted growing international attention, and has been in the spotlight after the Joint Comprehensive Plan of Action was reached on the Iranian nuclear issue… It goes without saying that war or chaos serves no one’s interests. So we need to work together to avoid such scenario and jointly uphold peace and stability on the peninsula. As such, it is imperative to resume the six-party talks and bring the nuclear issue on the peninsula back to the track of negotiation… For the DPRK, security is its top concern, so it wants to replace the armistice agreement with a peace treaty to ensure its national security. This is understandable, while the United States and other countries, including China, hope that the DPRK will give up its nuclear programme and the denuclearisation of the peninsula can be achieved. Al Jazeera: The 20th century was the American century. Can we expect the 21st century to be the Chinese century? Wang Yi: It’s not China’s preference to describe any century as one belonging to a certain country. We believe that affairs of a country should be handled by its own people, and likewise the affairs of the world should be handled through discussion by all countries, instead of being dominated or monopolised by any single country. In this sense, China has all along supported the current international system with the United Nations at its core. The UN is the most authoritative inter-governmental organisation with the broadest representation, whose charter is endorsed by people across the world. In fact, many problems in our world, turbulence, chaos and wars, all result from the failure to fully implement the purposes and principles of the UN Charter, the very essence of which is respect for sovereignty, non-interference in internal affairs, peaceful settlement of disputes and international cooperation. If all countries, big and small, strong and weak, abide by the purposes and principles of the UN Charter, the world will be more peaceful and stable, and countries will prosper together. That is the goal and philosophy of China’s diplomacy. Al Jazeera: The United States is on a path of decline, and such decline will become quite pronounced in the next 10 to 20 years. Is China prepared to lead the world? Wang Yi: Different countries may not have exactly the same assessment of the status and influence of the US. From what we know about the country, the United States will probably remain the world’s No 1 for a fairly long time to come. But this does not mean that the world can only be led by one country, which, in fact, is simply impossible. We need greater international cooperation to ensure a better future for our planet. At the summits marking the 70th anniversary of the UN last year, President Xi Jinping laid out a very important vision, calling on countries to work together for a community of shared future for mankind. Given the level of interdependence and integration among the world’s nations, our planet has in fact become a village where no one can prosper in isolation. This requires us to build a community of shared interests, shared responsibilities and shared security. Al Jazeera: Under President Putin, Russia is again in rivalry with the West. How does China see Russia? Is it a competitor or a partner? Wang Yi: We hope that all countries are our partners. This is certainly the case with Russia, because it is China’s largest neighbour and we share a long border. As you may know, historically, relationship between the two countries went through ups and downs. There were tensions, confrontations and even conflicts. Later, the two sides learned lessons and built a more normal, friendly relationship… In recent years, China and Russia have worked closely together in various fields, and we do need each other as neighbours. Al Jazeera:The US has sent several thousand American troops to the Philippines for the joint military exercise. Do you see this as a direct threat to China? Wang Yi: Such a move, to say the least, has added destabilizing factors to the South China Sea situation, if not further heightening the tensions, and we don’t think it is constructive. China and the Association of South East Asian Nations agreed that specific disputes should be settled through negotiations by parties directly concerned. It is for this reason that China does not approve of, accept or participate in the so-called international arbitration unilaterally initiated by the Philippines… The Philippines also violated a number of bilateral agreements it reached with China, the centerpiece of which is to resolve problems through negotiations. What’s more, the Philippines claimed that it initiated the arbitration because it had exhausted the means of negotiation. That’s not true; or to put it more bluntly, that is a lie. The Philippines had not engaged in any serious bilateral negotiations with China on any of the so-called requests it submitted to the arbitral tribunal. Even till this day, China is still saying to the Philippines that we may sit down and talk, and China’s door for dialogue is open. It is the Philippines who still refuses to negotiate or consult with us. As we see it, what the Philippines did lacks legality and legitimacy from the very beginning. Al Jazeera: You served as the Chinese ambassador to Japan. The Japanese foreign minister visited China a couple of days ago amid strained relations between China and Japan. How do you see the future of China-Japan relations? Wang Yi: China and Japan are close neighbours. We certainly want stable, healthy, friendly and good-neighborly relations with Japan. This is our consistent policy. But just as you cannot clap with one hand alone, the two sides need to meet each other half way. We need to see not only what Japan says, but also how it acts. It is important for Japan to view China as a cooperation partner rather than a rival, a friendly neighbour rather than a “threat”. Revelation Unfolding has created a forums page dedicated to allow anyone to get more involved into discussions about the events going on around us, involvement in bible studies or other studies, ability to submit prayer requests, and more. If you enjoy any of the topics that is shared on the blog or website, feel free to check it out. God bless! Senior diplomats from the West and the Middle East are meeting in the Austrian capital Vienna in an effort to salvage efforts to halt Syria’s civil war. 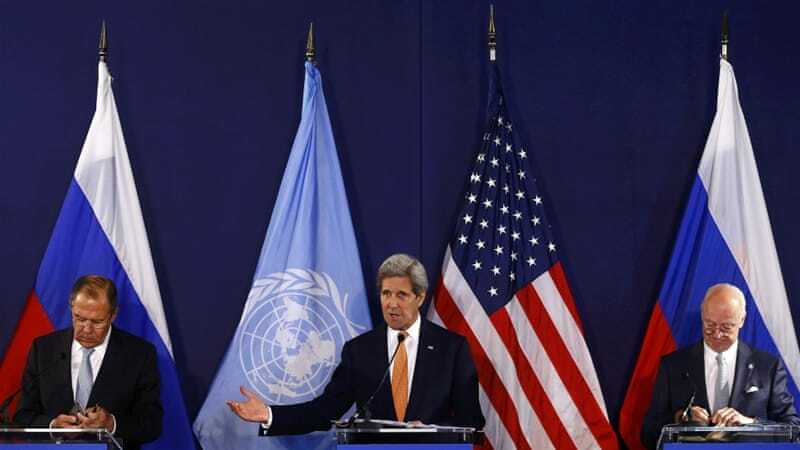 John Kerry, US secretary of state, and Sergey Lavrov, Russia’s foreign minister, will chair the meeting on Tuesday. At the gathering, the 17-nation International Syria Support Group (ISSG) will renew its call for a national cessation of hostilities and immediate humanitarian access to besieged communities. But the third plank of the plan – a call for Syrian President Bashar al-Assad’s regime and the rebels to agree on a “framework for political transition” – may cause headaches. US officials travelling with Kerry say the US still insists that Assad should go, with an August 1 deadline for settling on the framework under which he does so. But Assad, buoyed by military support from Russia and Iran, has shown no sign he is prepared to leave and his forces are still battling for territory. “There’s a sentiment here in Vienna that it may take some time to bridge the gap between the two key players,” said Al Jazeera’s Hashem Ahelbarra, reporting from Vienna. UN-brokered peace talks in Geneva ended last month without any progress after the delegation of the opposition walked out, citing surging attacks by Assad’s forces and his Russian ally, as well as problems with humanitarian aid shipments. In the past weeks, more than 300 people have been killed in regime air strikes in Aleppo province alone, while deadly fighting has also raged in other parts of Syria, including Idlib, Deir Az Zor and outskirts of Damascus. A truce deal in place since February does not cover the armed groups such as Islamic State of Iraq and the Levant (ISIL, also known as ISIS) group and al-Nusra Front, al-Qaeda’s Syria branch. While the Syrian opposition demands that the president step down and pave the way for a political transition, the government delegation in Geneva has so far refused to talk about such a scenario. Mohammad Javad Zarif, Iranian foreign minister, said his country supported the truce and a peace dialogue, but he warned that a silencing of arms might aid armed groups operating in Syria. “We should not allow terrorists to use the cessation of hostilities for further terror operations,” he said. Russia, Assad’s key foreign backer, supports the ISSG platform on paper but backs Syrian government forces on the ground. Russia nevertheless endorsed the UN Security Council resolution that enshrined the ISSG peace plan in international law – and Lavrov says he supports it. 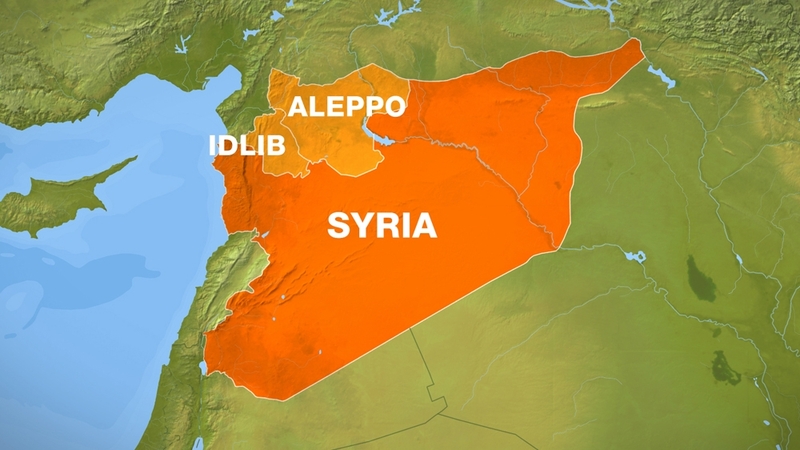 The talks come as fighter jets from the US-led coalition continue their attack on ISIL targets in Aleppo, while moderate rebels have launched their own offensive on the ground. Meanwhile, a government air strike in the city left at least three civilians dead early on Tuesday, among them a mother and her young daughter, according to the Syrian Observatory for Human Rights. Government forces continue to blockade several rebel-held areas around Damascus, stopping all food and medical aid in defiance of UN Security Council resolutions. And ISIL and the al-Nusra Front, not party to the ceasefire or peace talks, still hold vast swaths of the country and carry out attacks. 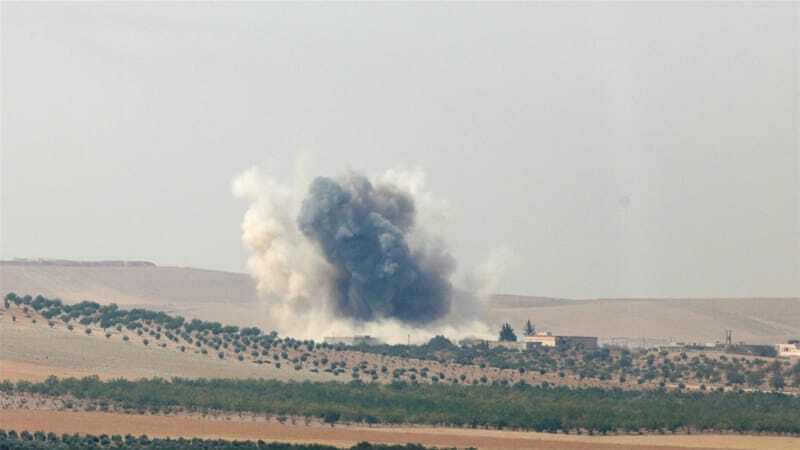 In Bdama, in Idlib province in the northwest, large swathes of which are held by al-Nusra, government air raids left eight civilians dead, including four women and three children. 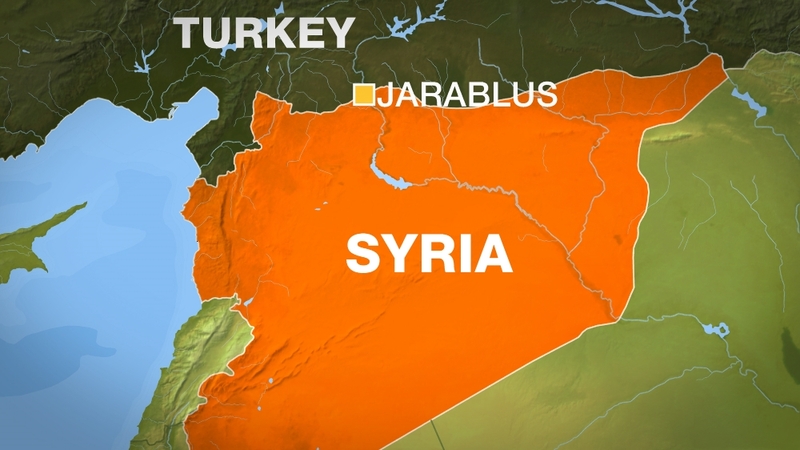 Fighting has also broken out between al-Nusra Front and other factions, killing more than 300 fighters in recent weeks. The Islamic Revolutionary Guards Corps (IRGC) threatened to “drown” any US warships approaching Iran, a top general said Tuesday, according to state-controlled media. He further threatened that the US would “lose control of everything” by drawing others into Middle-East affairs. Fadavi also boasted that the West remains unaware of Iran’s alleged naval capabilities, including surface-to-air missiles. The threats surface just days after top White House adviser Ben Rhodes revealed the US deliberately misled the American public about the 2015 Iran deal. While the public was led to believe talks began after the election of “moderate” Iranian President Hassan Rouhani, talks with Islamists in the country began far earlier, he said. In November of 2013, it was revealed that a preliminary deal between Iran and the West was made possible due to secret talks that the United States and Iran held for more than half a year and were authorized by US President Barack Obama himself. Those discussions were kept hidden even from America’s closest friends, including its five negotiating partners and from Israel. The “Satan 2” missile is rumoured to be the most powerful ever designed and is equipped with stealth technology to help it dodge enemy radar systems . “In this sense, the Sarmat missile will not only become the R-36M’s successor, but also to some extent it will determine in which direction nuclear deterrence in the world will develop,” the Russian news network Zvezda reported . 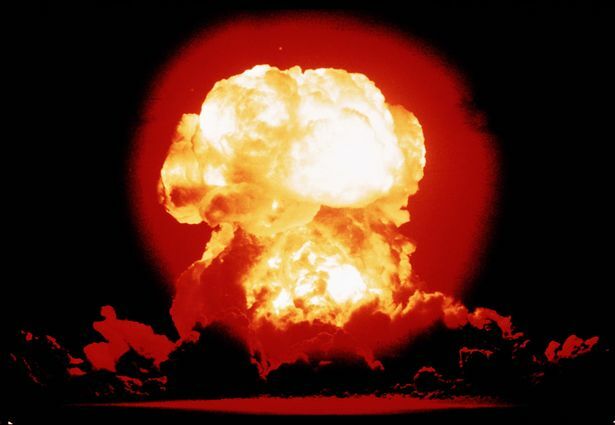 The missile is expected to be capable of delivering up to a dozen warheads, allowing to effectively destroy an area the “size of Texas or France”, the broadcaster continued. It is expected to have a range of 10,000 km, allowing Moscow to attack European cities including London as well as major cities on America’s west and east coasts. Russia is said to be planning to test fire the weapon this summer, although it is unclear whether it will be fitted with its full nuclear payload. The missiles will then be in active service at some point before 2020.